Smaller living is all about making things simpler. In a world where cars get bigger every year and homes get more floors or basements with every rebuild, choosing to go tiny is as much of a rebellion against the rat race that plagues us every day, as it is choosing a place to live. It's then quite frustrating to see the very same "bigger" mentality taking hold in tiny homes. The addition of second, or even third, level lofts paired with ladders and stairs to an otherwise lovely tiny home hardly seems aligned with living an easier life. For many, these features can cause as much stress on the joints as what was relieved from the mortgage payments. That's why we've assembled a list of the 10 most accessible tiny homes of 2018. Before we get started, what does accessible mean to us? No ladders to get into bed, no stairs lining the walls to get to hard-to-reach shelving, no lofted desks above beds, or lofted beds above desks. Just simple, single-floor, living in a cozy package for those of us who would rather devote all of our homes to living, vs storing. Each of the tiny homes below use a combination of creativity and ingenuity to achieve the impossible, so make sure to visit the full tours of each one by clicking on the tour links in the descriptions below. Even though this tiny house came in at number 10, don't underestimate this Bavarian wonder. 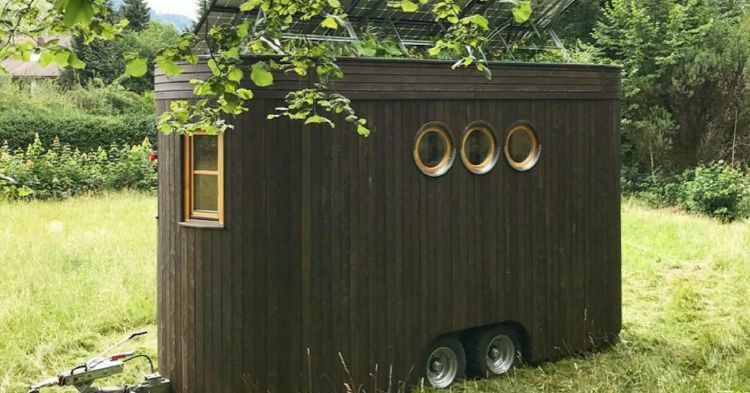 You might think the curved ends of this unique tiny home would make it difficult to fit a bed on the main floor, or to arrange any sort of furniture for that matter. However, the designers of this tiny house on wheels used every inch of the space to create a loft-less design that is still practical. It doesn't hurt that it's located in the beautiful Bavarian Alps. See how they did it by clicking here for the full tour. But make sure to come back, because tiny house number 9 is just below, and it's gorgeous. 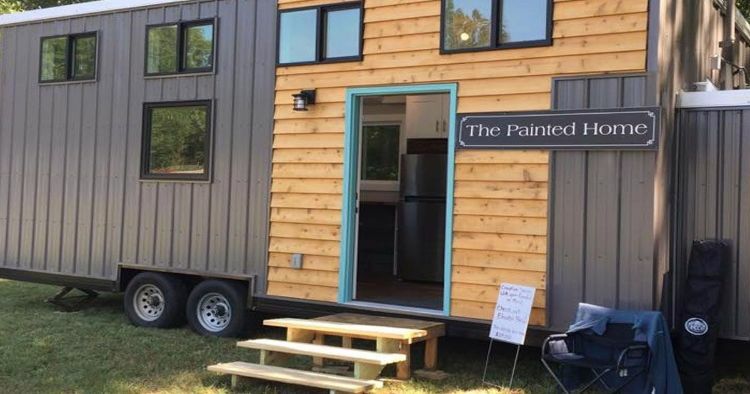 Number 9 brings us home to Alabama-based tiny house builder, "Tiny In A Box." Container homes are known for being eco-friendly, modular, and economical. They are not known for being particularly pretty. The typical container home looks like... well... a shipping container. Tiny In A Box's custom made container home looks like anything but a bare container. That's because every home is custom built, and custom built means an interior however you like it. They managed to fit everything on a single floor in this one due to the unique squared-off shape of the container. See how by clicking here for the full tour. Then, come on back to check out the dream kitchen in tiny house number 8 below. 8. A-Framed Tiny House by "Tiny Idahomes"
When you see one of these types of tiny homes, you immediately think "it probably has a sleeping loft." Well this cute A-framed tiny home by Tiny Idahomes based out of, you guessed it, Idaho, opted for a smaller bed on the main floor versus a hard-to-reach sleeping loft. Is a smaller bed workable? Click here to view the full tour and see for yourself! If you find the smaller bed less appealing, well, you can always go on to tiny house number 7 below and discover how the beauty of nature can make accessible tiny living a dream come true. 7. 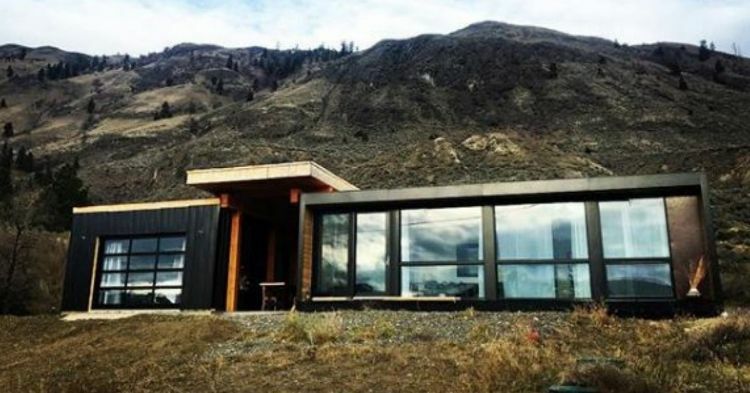 The "Black Box Container Home"
For number 7, we head up north to British Columbia, Canada, where the Black Box Container Home resides in a calm desert landscape. Floor-to-ceiling windows make full use of this tiny home's incredible view of the mountains, while the generous master bedroom takes up its own section of the container and opens up completely to make indoor-outdoor living possible. Take in the serene interior and click here for a full tour. Then, check out tiny house number 6 below to discover just how useful modular design can be. For our next tiny home, we go to the distant forested regions of Waiheke Island in New Zealand. Brenda Kelly has not only been selling IQ Container Homes there, but she's been living in them too. 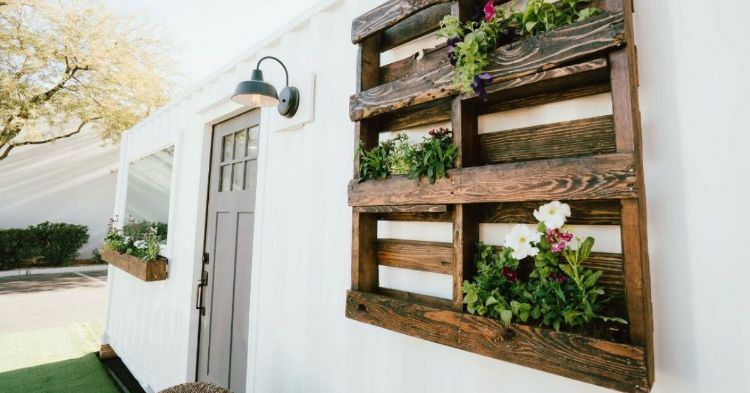 One of the beautiful features of container homes, is that they can be mixed and matched to the exact size and configuration that suits your lifestyle. In Brenda's case, she began with a 20-foot container, and decided to add an additional 40-foot long container later on. With two container homes at her disposal, there's ample room for a bedroom and more, without the need for a loft or troublesome ladders. If you live in an area with ample land, this is a convenient solution. Explore how she put it all together by clicking here for the full tour. Check out tiny house number 5 below to see how a little extra space can go a long way in a luxurious tiny house cabin. Luxury in the tiny-house world means something a bit different than in the normal-house world. However, as we saw in the last tiny home, sometimes more space can be the answer. So far, all of these homes have not featured a loft bedroom. This luxurious tiny cabin does have one. So why is it featured on this list? Well, the master bedroom of this tiny cabin is on the main floor. That's right, this 400 sq ft tiny mansion has a lofted guest bedroom. We started out by saying that bigger isn't better, but if you have children or friends who visit on occasion, sometimes there's no way around it. Is 400 sq ft too much for you, or just enough? Take the full tour and find out by clicking here. 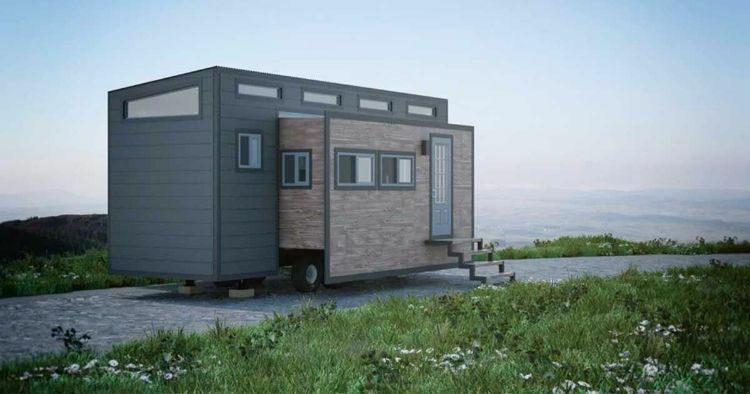 Below, see how tiny home number 4 employs a clever contraption that addresses one of the biggest problems of single-floor living in a tiny house. Adding square footage seem like cheating? We thought so too. That's why number 4 doesn't add any extra space to be accessible. One of the hardest parts of single-floor living in a tiny home is figuring out where to put the bed. Alternative Living Spaces, in partnership with Container Guys Intl. have their own approach to the problem. By using some clever furniture in an efficient arrangement, they've achieved living space by day, sleeping space by night. How did this turn out? Check out the full tour to the "City Container Home" by clicking here. 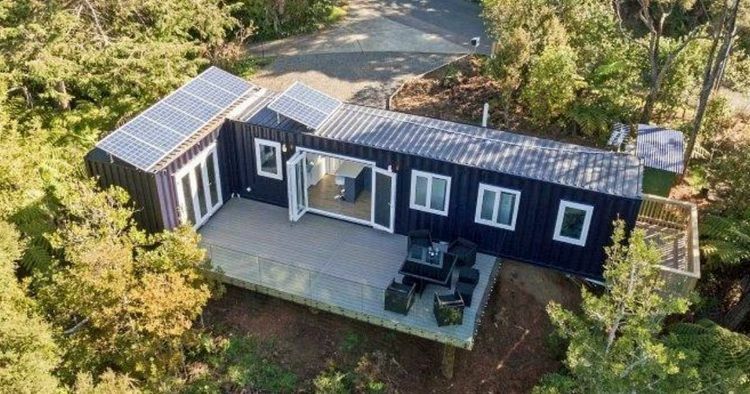 For a tiny home that takes the concept of clever engineering to the next level, check out number 3 below! 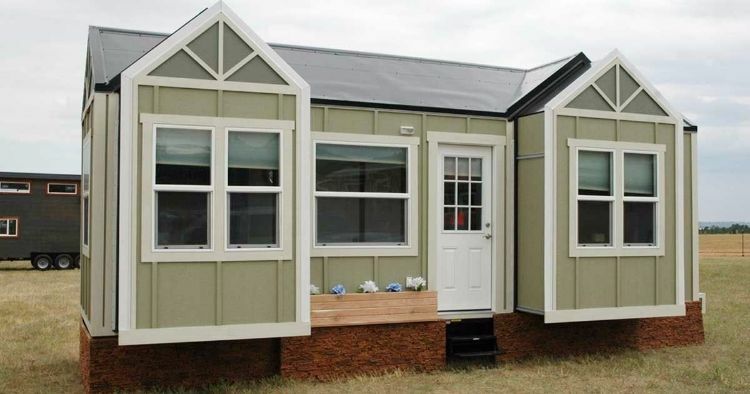 Each of the tiny homes you've seen so far have used a combination of smart furniture choices, clever floor plans, or a little extra square footage to get everything to fit on one floor. "The Painted Home" uses some clever engineering. Take a look inside and you'll see a lofted bed, but no stairs or ladder. How do you get to sleep then? Click here to take the full tour and see how the designers make the bed come to you. But make sure to come back to see how the number 2 tiny home on our list took this concept to the next level in the tour below. The previous tiny house was an elegant demonstration of engineering to provide the additional space afforded by a lofted bed, without needing to struggle up a ladder every night to go to sleep. But for those of us who can't be bothered to operate a pulley to get into bed, Ana White's DIY electric bed is exactly what we were looking for. Of course, that's just the tip of the iceberg. Click here for the full tour, and don't miss the video at the end. Don't go too far though, the next tiny house on this list is what we've all been waiting for. 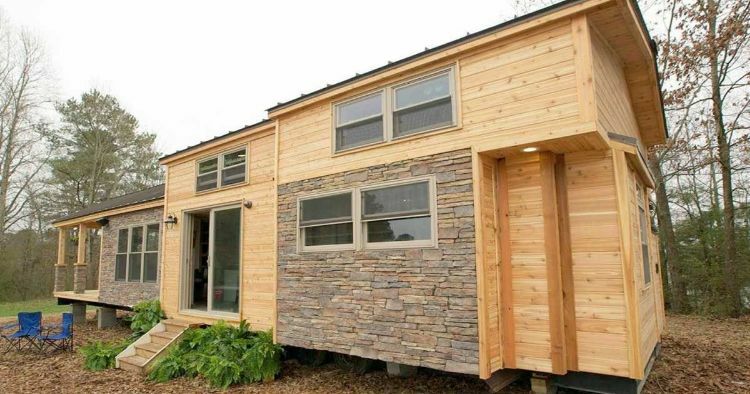 The tiny home that puts it all together into something unlike anything that has come before. Don't miss the full tour of the number 1 accessible tiny home of 2018 below. I know what you're thinking. Those stairs don't look particularly accessible at all. But don't mind the sample photo, as the stairs can easily be swapped out for a ramp or lift. When it comes to accessibility, we've shown you convertible sofas and elevator beds. We've shown you tiny desks that fold away, and stackable seating. You've seen clever furniture arrangements, and ingenious storage ideas. What you haven't seen is the "Aurora" by Zero Squared. 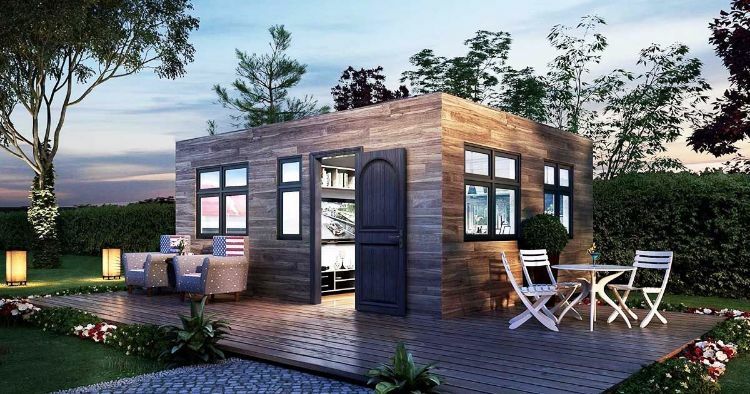 This Canadian company has brought to the tiny home world a miracle of industrial design and engineering: a convertible tiny home. What does that mean you ask? We don't want to spoil it for you, click here to take the full tour and see for yourself. If you loved these tiny homes, you'll love the rest! Make sure to check out more tiny home tours below. Each tour has a full set of photos or videos, and each one is as unique as their owners and builders. Maybe you haven't found the right kind for you, but we're certain it's out there, waiting for you.